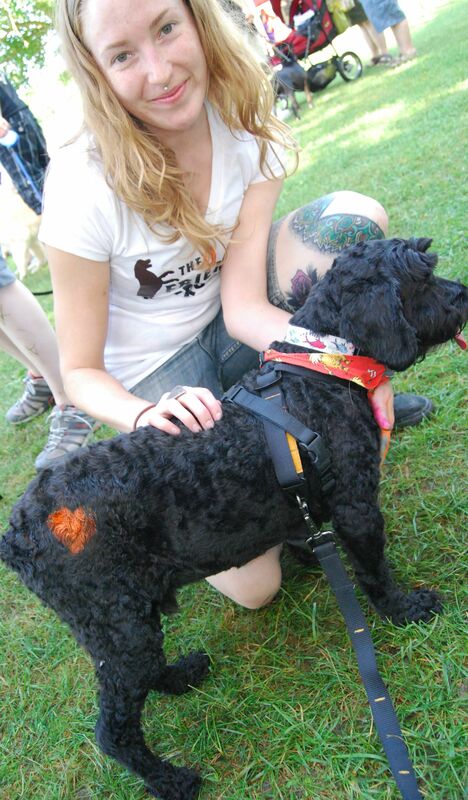 Minutes after we arrived at Pawlooza dog festival my schnoodle Victor wanted a tattoo. Not really a tattoo (and not really his idea), it’s a spray “paint” orange heart on his back-end thanks to Kelly Keillor, assistant groomer at The Friendly Groomer in London, Ontario. Fee was a donation. Most of the money spent at this event goes to good causes, and by ‘good causes’ I mean more than 50 animal rescues given free booth space at this excellent event. The Friendly Groomer booth is one of many – many – at Pawlooza promoting businesses, raising money for non-profit dog, cat, guinea pig, bunny and wildlife organizations, selling all natural treats and signing up people and their pets for services. 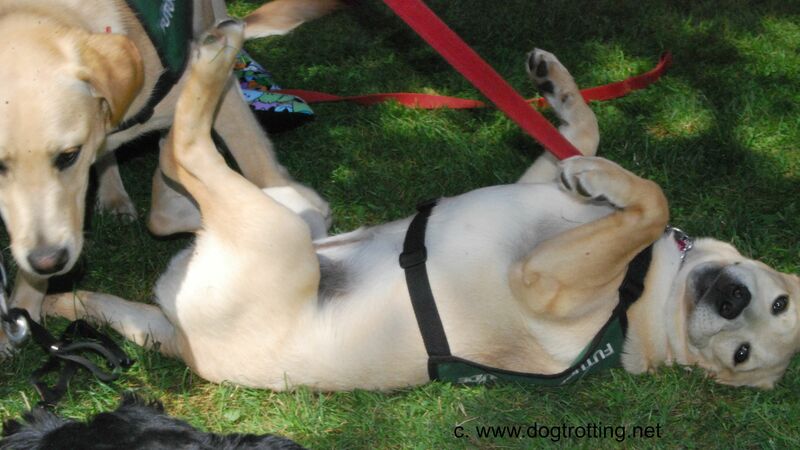 Pawlooza is one of the biggest, and so far best, dog festivals I’ve attended. 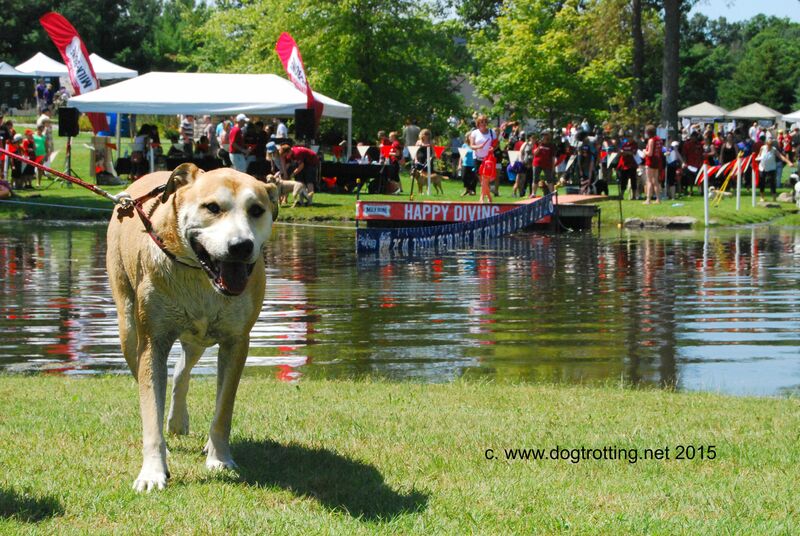 Held annually on the third Saturday of August (this year on August 15) from 10 am to 6 pm on the 105-acre private Plunkett Estate in London, Ontario, this massive festival – deserving of the ‘looza’ moniker – raises money for ARF animal rescue and LEADS employment services. About 25,000 people and 6,000 dogs attend. Troops of volunteers corral cars and festivals goers seamlessly at the impressively well-organized extravaganza. Parking is $10, and you need a car to get to this rural estate outside the city of London. The star of the show? Dogs, of course. Everyone’s dog. Hundreds of dogs, all shapes, sizes, and breeds, led their people parents on leash. There was an off-leash fun zone near behind the main stage that hosts event such as the Next Top Dog Model event, at the back of this residential property. 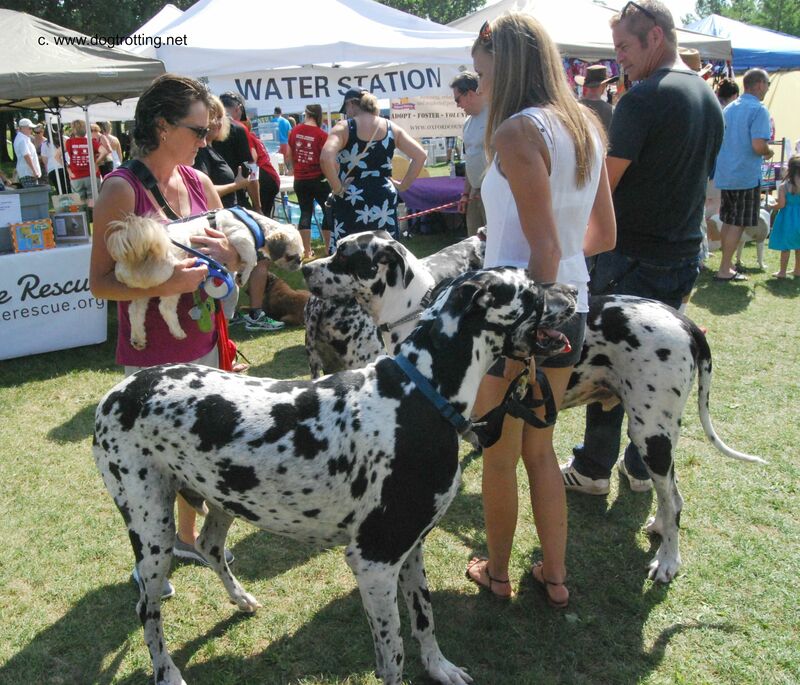 The home – albeit palatial home – feel makes Pawlooza a celebration of like-minded animal lovers rather than an expo. Not even the beating sun of one of the summer’s warmest days could melt the love of all things furry palpable at my favourite animal event this year. Loved this? 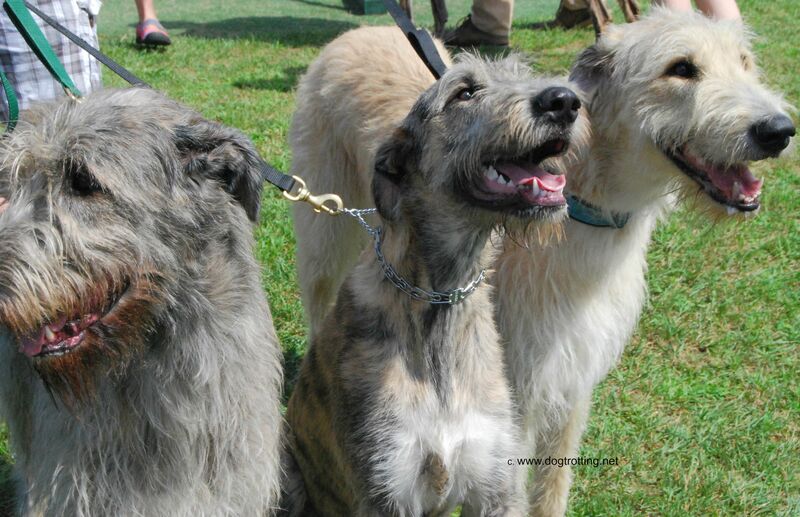 Check out other dog festivals here. 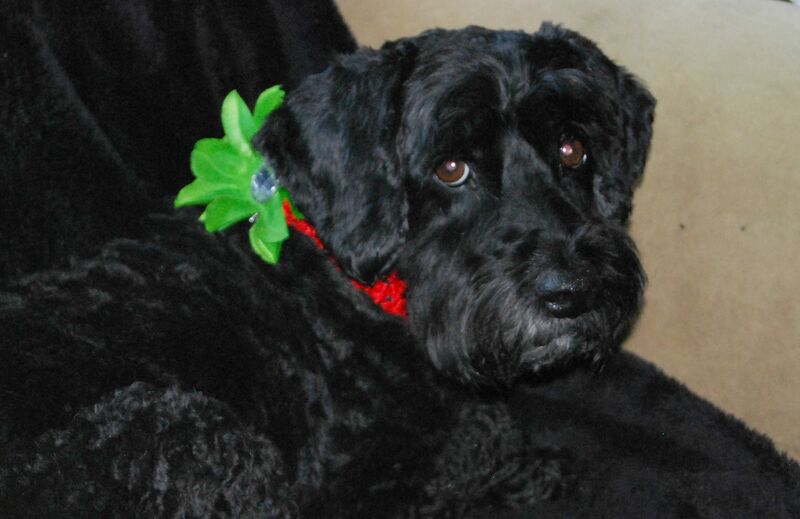 What to win a dog harness like Victors’s wearing? Check out www.horsetrotting.net for contest info. ← Travel, Port Burwell, Ontario: Leash Free Dog Beach. Hurray!